Summary: This week I continued my work in learning Houdini. The main issue that I was able to over come was exporting FBX files to Houdini correctly. I also figured out how to export alembic files to Houdini. Pros: I actually exported a full scene correctly from Maya to Houdini. Cons: Alembic and FBX in Houdini both have their strength and weaknesses. Summary: Nothing too new this week for rigging. I finished up dyer. I added all the finger controls/ sdks. I fixed the ikfk blending. I also added in eye controls. Pros: At this point the rigs are finished! Expect fixing some weighting issues and any other issues. Cons: None other that hand sdks take a long time to make. 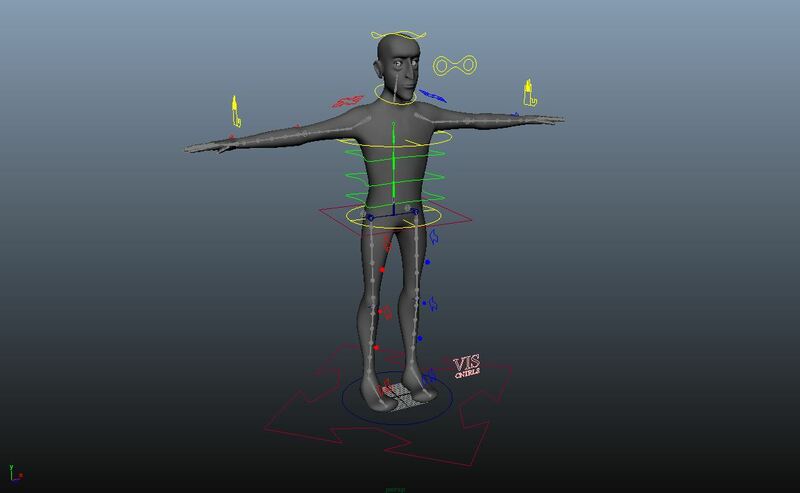 Move onto the face rigging.